LOUD BEEPING ALERT: 60 seconds count down with 85DB loud beeping alert ensures you will not overcook or undercook your dishes again. Alarm level is set at a good decibel level, not too loud when placed at your desk, but easy to hear in other rooms. MAGNETIC BACK, RETRACTABLE STAND AND HOOK FOR HANGING: The digital timer is convenient to place in three ways especially its STRONG MAGNET working fine on the refrigerator. THREE-IN-ONE DESIGN: You can set min/sec/hour individually. 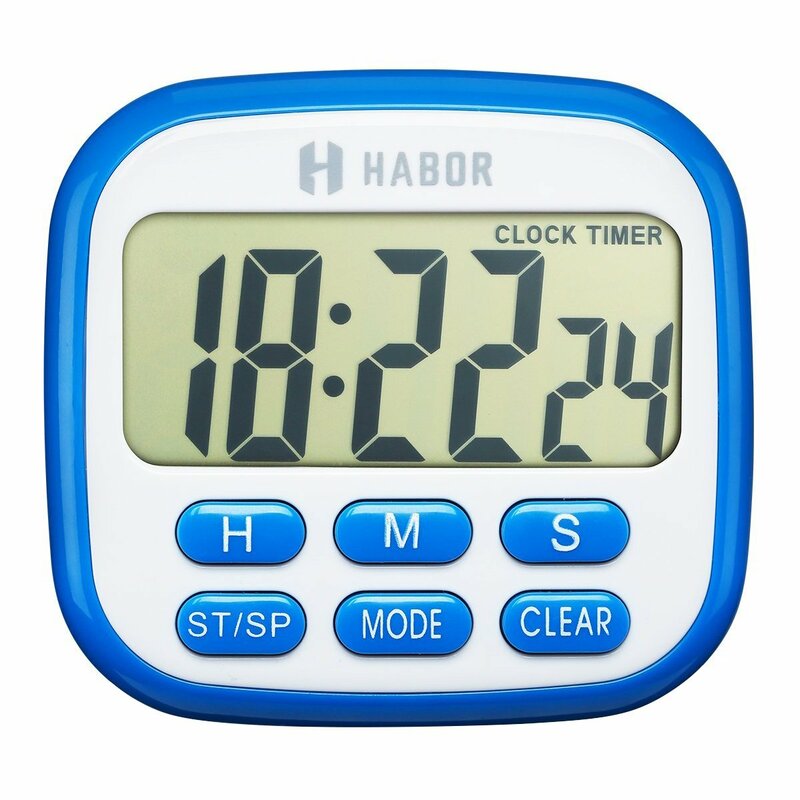 With countdown timer, count up timer and clock all in one, this timer has two modes which it’s easy to change. LARGE LCD SCREEN AND BIG DIGITS: With bigger and clearer 2.6 inches LCD screen, it is simple to read the time and numbers effortlessly. Ideal for those with not the best eyesight. MULTIPLE FUNCTIONS: The accurate timer can both count up and count down in a range from 1 second to 24 hours which making it a perfect timer for VARIOUS ACTIVITIES like homework, taking drugs, barbecue, gym, workout, cooking, baking, sports, competitions and meetings.